I’m back! Twice in a day again! That’s just the way things are panning out this week… It’s all very busy here, I can tell you! Don’t forget, the Lightwaves are in today’s flash sale. They were the one thing we couldn’t include last year, because we just didn’t have the stock. But this year we made sure we have at least enough to cover the sale. Paul is winding up the TV One Day Special with Josie’s PTC Groovi Plates at Hochanda. Didn’t he do well?! Pretty much sold out too – thank you for watching and supporting him. 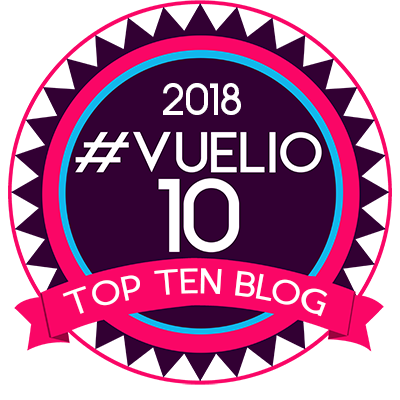 Just a little heads up to my bloggy friends, who come and join me here every single day. Remember when the website crashed so spectacularly a couple of years ago when we open the Gray Friday Sluice Gates? Well, we have quietly flicked the GRAY DAY Sale Switch, so if you wanted to get in early and have a rummage before the onslaught – GO FOR IT!!! 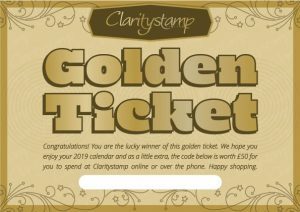 Well, this Golden Ticket gives you £50 to spend on absolutely anything at Clarity, either online or over the phone. 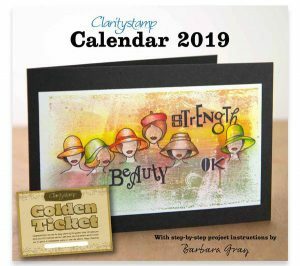 Already got a calendar? Well, get another one for a friend!! Hope you find what you are looking for. And don’t forget, Jeannine and the ladies will be manning the phones from 8am tomorrow morning, if you prefer to speak to a friendly voice. Mind you, the website should be solid as a rock now ! Jim has been reinforcing the site all year in readiness!! Blog Blitz Sale Day 4 – Gel Press, Paints and a Lightwave! Hello Barb, what a generous lady you are, so many extra special offers all week, and now a weekend of the best sale on the planet. I know, i may just be a wee bit biased!! !, but I challenge anyone to find anything that beats yours. Methinks I’ll succumb at some point this weekend…!!! I do hope you take time out to breathe and chill, even for wee short bits of tie. We don’t want you getting run down and ill because of us. Got in early and ordered this afternoon – my basket was already full so I didn’t need to think about it but I missed out on the golden ticket news. Sometimes the early bird misses the worm! Ohhh I haven’t bought my calendar yet so think Id better start with that. What a great selection of Groovi today and so much inspiration for using them. With so much inspiration it’s just time I need to play…. In my defence, these are my birthday presents to me….thanks so much to Barbara for opening the sale early….the pages were slow loading onto my iPad though, and not sure where the problem was, but I doubt it will get better with the likely amount of Internet traffic over the next couple of days…. Soss……can’t stop…..got to bagsy the ‘puter from OH….. Thanks for the heads up, I am now shopped out. I can’t wait to get my parcel and get creative. Keep doing what you are doing, Barbara, you are an inspiration in so many ways. Thanks for the heads up the doors have opened early, you know us so well. I’m going to write a list and leave in front of hubby just to give him some ideas for Christmas. I had to work today so I’ve missed Paul, will be playing catch up tomorrow afternoon. Oooh how exciting, a golden ticket, and we don’t have to eat chocolate to find it. I might pop one on my list. Hope you don’t get too stressed over the weekend and the doughnuts last. Hope you can all have some fun too. Super excited to get a few things. Can’t beat a Clarity sale! What great offers, just had to take advantage of them, even the essentials such as plain parchment & groovi tabs. There may be just a few more items that have fallen in my basket !! Thanks to all the staff for packing our parcels so quickly so far this week. Hopefully the doughnuts will have helped. Managed to find a little spare cash for me!! Few bits ordered with no problem. Looking forward to their arrival. Thank you for the great prices. Paul did a top job today!!! He’s so calm and steady… Nothing seems to phase him!!! And I have a little list I think so just need to peruse the website again to make sure then I may well be phoning clarity towers tomorrow!